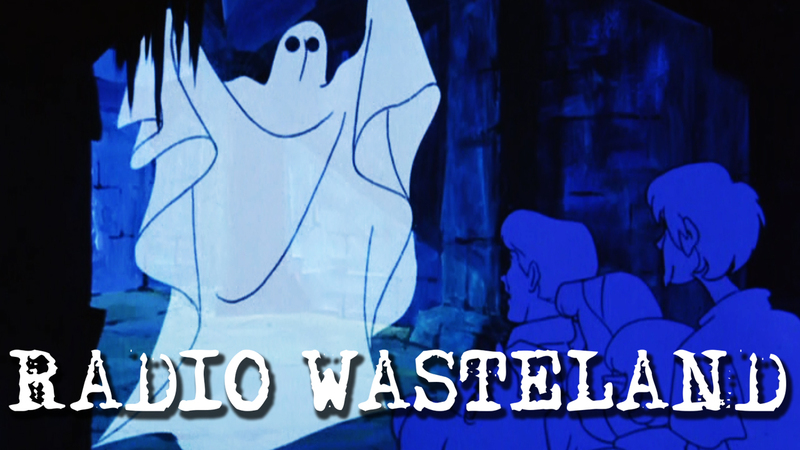 Radio Wasteland is a paranormal news website with accompanying podcast. The site and show covers all topics mysterious to conspiratory, ranging from corrupt governments and cover-ups to UFO phenomenon and cryptozoology… and everything in between… and more importantly, everything beyond. 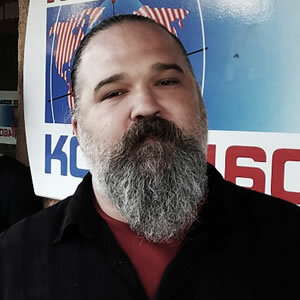 Chauncey Haworth is the primary host of Radio Wasteland in addition to being an almost infinite cache of knowledge on all matters concerning horror movies, garage rock, and science fiction. When he’s not bringing you all the most consequential luminaries of paranormal information, he’s working tirelessly on his SEO business, rocking out with his friend John on Archaic Radio, or broadcasting his expertise on the Being Found Help Center. Yes, he’s keeping a lot of plates spinning, which is why he’s so overworked and pessimistic. Chauncey brings a skeptical yet open-minded approach to fringe topics. He’s been interested in the bizarre and unexplained since a young age, and often says that he “wants to believe.” The truth is out there and all. He lives in Redding with his wife and some children or something? I don’t know. 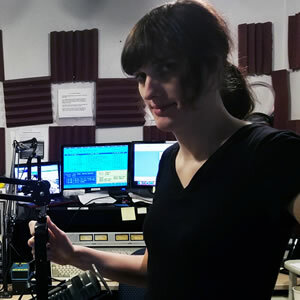 Kara Kittrick is the co-host, although she goes by Sean on the radio because she’s still shaking off the cobwebs from gender transition. The resident sarcastic millennial, Kara doesn’t really know anything about anything, but she’ll still make fun of people for knowing less than she does. She attended UC Santa Barbara and is a literature and history nerd. She doesn’t really pay attention to movies or music though, so she never gets Chauncey’s references. Kara is also quite skeptical except insofar as she hangs out with vampires and practices occult rituals. The interviews are mostly Chauncey’s domain, but she adds snarky commentary, and at the end of every show she brings us all the paranormal news that’s fit to print. Or broadcast, we guess. She lives in Redding. Andrea Mckenna isn’t on the air, but she finds and books all guests for Radio Wasteland and handles essentially all of the social media. The fact that we have some listeners now is her fault. She also handles the social media for a number of other radio shows and websites, including the Being Found Help Center. Andrea is also in the process of raising some children. In her spare time she likes to wander about in the desert. A long time aficionado of the weird, the supernatural, and the concealed, she was already acquainted with a slightly scary number of potential guests before Chauncey even pitched the idea for Radio Wasteland. 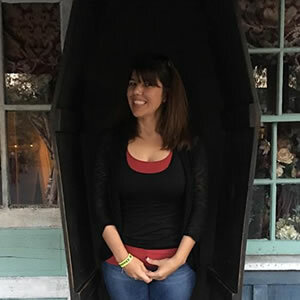 Andrea is a decade-long member of a paranormal website called Anybodythere.net and she subscribed to her first metaphysical magazine subscription at age 11 from an insert she found in her Ouija Board. All in all, she’s just delighted that having weird interests is now seen as ‘cool,’ rather than ‘vaguely worrying.’ She lives in Temecula with her family, although she hails from Redding originally. Jared works for KCNR and is the long-suffering sound engineer for Radio Wasteland and numerous other shows on that station. He thinks most of our topics are pretty silly, but has nonetheless seen fit to share Chauncey’s chocolatey tones with the world. Jared’s last name is unknown. His whereabouts are unknown. Everything about Jared is unknown. The website is a place for daily updates about whats going on in the world of the paranormal. We don’t pretend to have the answers but, we do claim to have fun trying to find them. Radio Wasteland’s radio show is a weekly broadcast on KCNR1460am, and syndicated from there. Each week we have new and knowledgeable guest on to discuss all this mysterious. Check out the archives here.